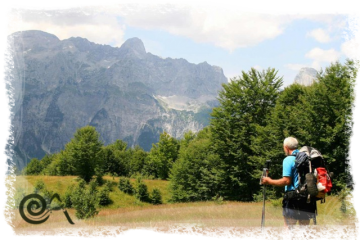 From Valbona to Thethi you will have to carry your own backpack. 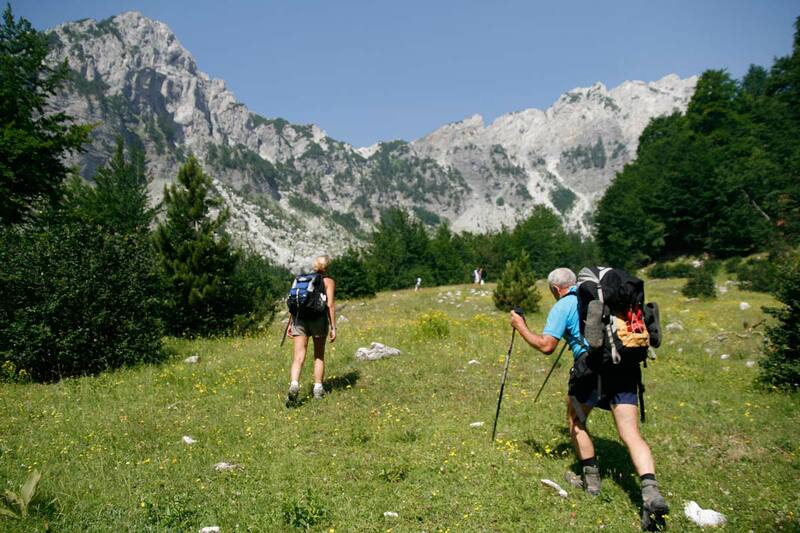 All luggage transport will be taken care of by Outdoor Albania, except the crossing between Valbona and Thethi. During this crossing you are responsible of getting your own luggage to the destination. For the rest of the tour, the only thing you will be carrying is your day back pack. There is an option to rent and use a mule or horse for carrying your luggage from Valbona to Thethi; However, please make sure you bring a bag and not a suitcase. (the mule/horse luggage carry, is not included in the pricing). Does this tour have a guaranteed departure? Departure is from Shkoder, you will be picked up at 6.30 a.m. from your (central) Shkoder accommodation. 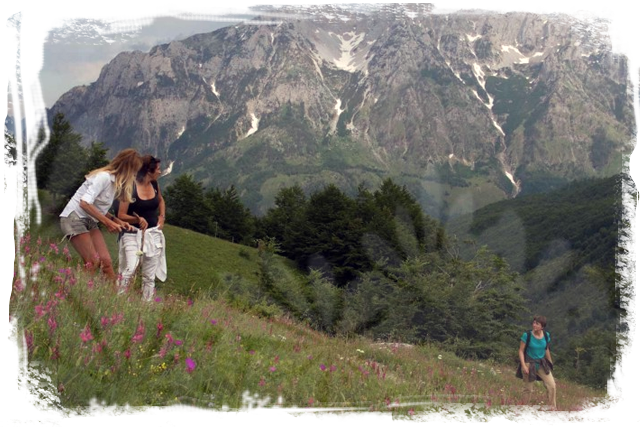 Your first hike will start from the guesthouse towards the secluded hamlet of Kukaj, with the aim to discover the small hidden valley above the two houses. 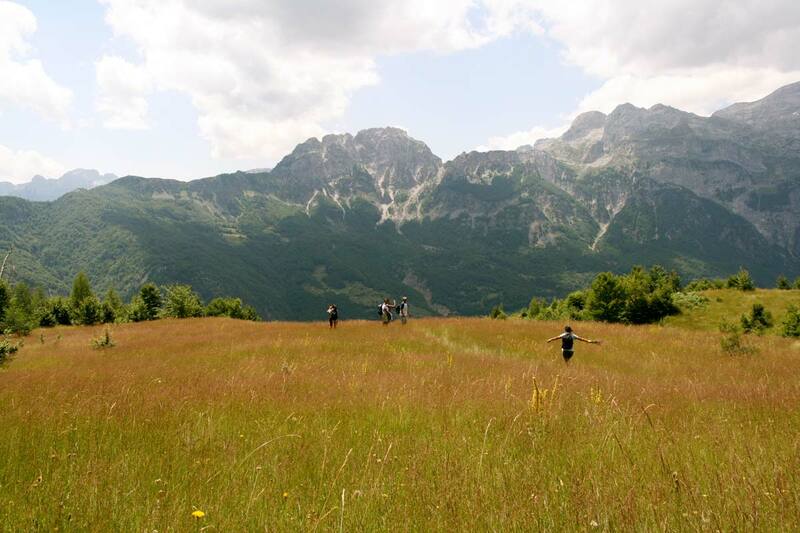 A winding shepherd’s trail through forest, will take you in the middle of green alpine meadows underneath the rocky dome of Mount Rosi, known by the locals as ‘Pllana’ or ‘Buni i Brahimit’. 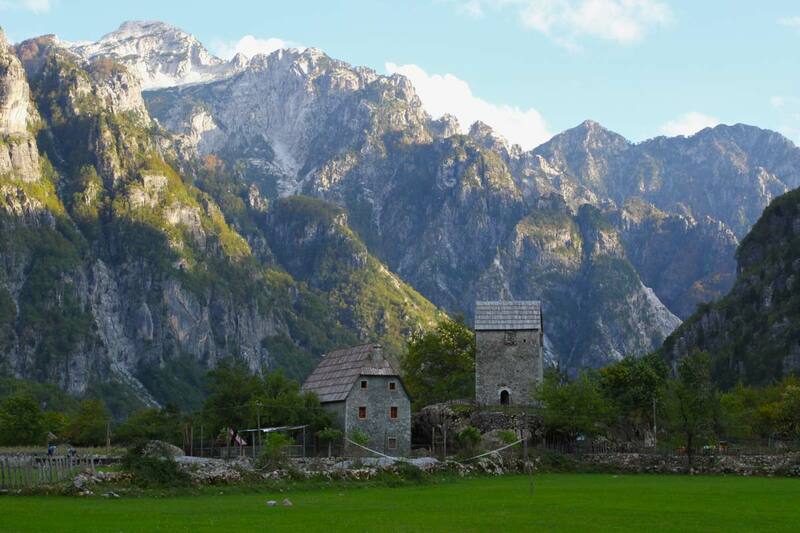 Here you can have a picnic lunch and admire the dramatic peaks of Grykat e Hapta across the valley, and Jezerca the highest peak of the Albanian Alps, towering above the steep couloirs of Paplluka mountain. 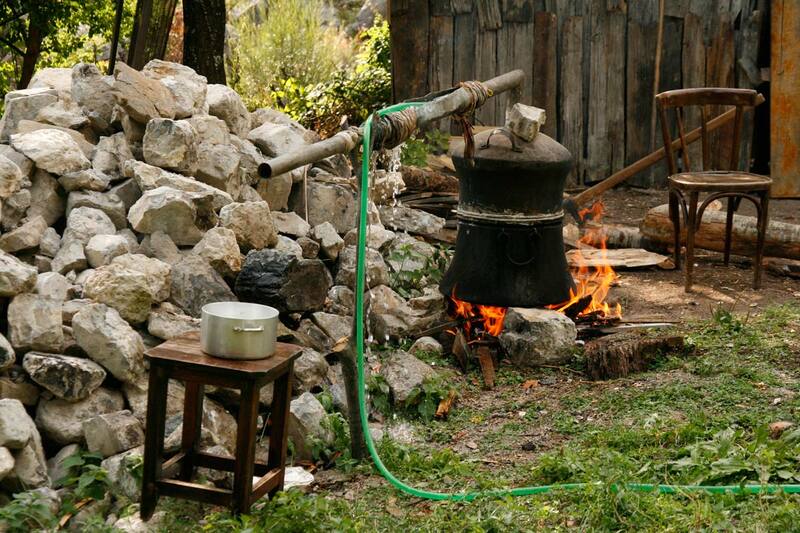 On the way back we advice you to stop for mountain ‘çaj’ at the wooden terrace of one of the houses, before returning to the guesthouse in Valbona for dinner and overnight. Walk down from the house (850m) and visit the attractions of the village, including the Church, Kulla e Ngujimit (a tower house used in the past by men as a shelter against ongoing vendettas), the Waterfall of Thethi, and peer at the rocky narrows of the Grunasi Canyon from the wooden bridge of Grela. Near the canyon are found stone-walled terraces dating from the late bronze era, revealed only in 2007. 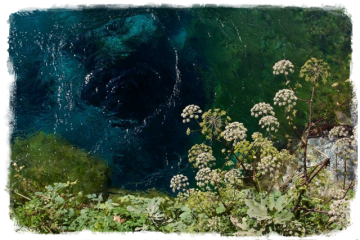 After the picnic lunch, you may then return to the same house as the night before or you may decide to continue your journey and discover The Blue Eye of Nderlysa. The way is marked following the Shala River. On return to Nderlysa, an arranged transfer will return you to Thethi for a second overnight stay. It takes about 3,5 hours from Thethi to Shkoder. 1/3 of the road is bumpy, be prepared for the first part of the ride.